I photographed this bird at St Levan cricket field, Polgigga yesterday. On Saturday there were three together here. 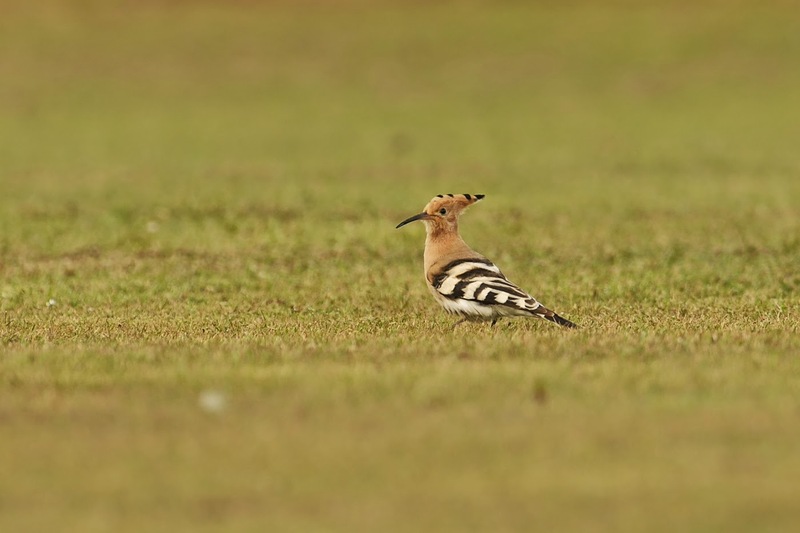 The national movement of Hoopoe's started on Wednesday 8th April with seven birds, mainly in the South West. This had increased to a minimum of 23 on the 9th and 32 on the 10th, with at least 11 in County Cork, nine in Scilly and at least five in Cornwall. Others undoubtedly go unreported in private gardens.